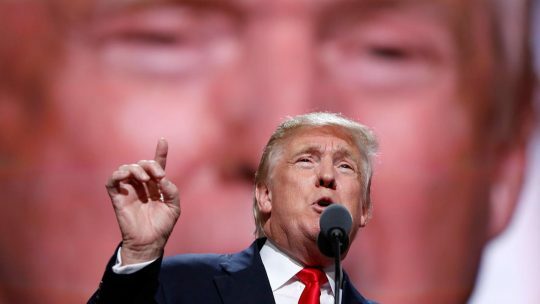 The “60 Minutes” interview is for me the presidential nominee’s most important media moment. This is a segment from the recent “60 Minutes” interview with the Democratic nominee Hillary Clinton and her running mate Tim Kaine. CBS flipped the format from the spouses to the ticket. We’re looking at a job interview (and that’s what all this campaigning is about). We’ve certainly come a long way from “Standing by Your Man.” And plus Bill and Hillary have already done at least two of these before. Republican nominee Donald Trump and his running mate Mike Pence’s interview aired the week before and is here. Be sure to pour yourself a drink first. 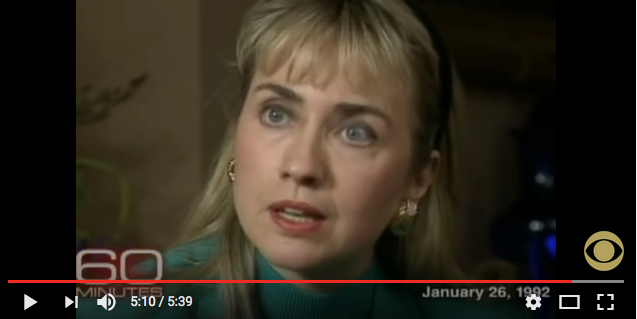 IMO Hillary saved Bill Clinton’s first bid for President in this 1992 “60 Minutes” interview with Steve Croft following the Gennifer Flowers scandal. It was early enough in the campaign to pick up the pieces. And btw, what we don’t see, but was recorded, was the video light exploding during the interview. It was a moment that showed how deep marriage can be especially this one. The outtake (that aired years later) also showed the Clinton’s tenacity, to not buckle under pressure. I always warn people, Clintons can thrive in crazy. The Hillary in this interview from over 20 years ago is no fool personally or professionally neither does she suffer them. I didn’t notice the Arkansas governor or think he was viable at all until I saw HER. In her acceptance speech tonight Hillary Clinton will do good to have Hillary Rodham Clinton standing by her candidate. The conservative and progressive worldviews dividing our country can most readily be understood in terms of moral worldviews that are encapsulated in two very different common forms of family life: The Nurturant Parent family (progressive) and the Strict Father family (conservative). From “Understanding Trump,” a cognitive breakdown of the appeal of Republican POTUS candidate Donald Trump by George Lakoff, author of Don’t Think of an Elephant! (and THE ALL NEW version). Lakoff lays out why a strict father figure who’s the only one who can solve problems and apply discipline appeals to Trump supporters. Why facts don’t matter (and I was ready to argue them). And some advice for the Democratic candidate and the party’s messaging. Lakoff is professor emeritus of Cognitive Science and Linguistics at the University of California at Berkeley, and Director of the Berkeley Center for Brain, Mind, and Society. Will Dallas shift the conversation about guns? Snipers shoot police officers on duty during a peaceful protest for #BlackLivesMatter in Dallas last night. 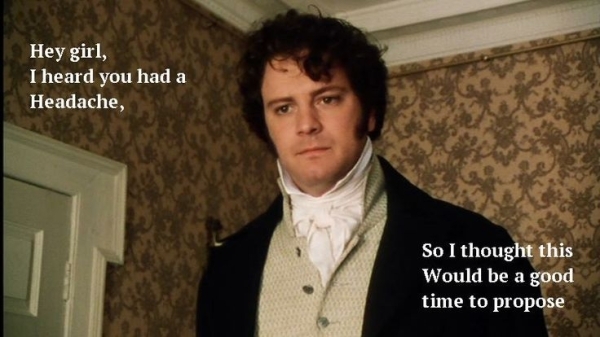 EU leaders’ response last week to PM David Cameron and the Brexit leadership resembled Elizabeth Bennet’s rebuff of Mr. Darcy’s first boastful and lame marriage proposal in Jane Austen’s Pride and Prejudice. Britain and the EU are now at the beginning in what has been described as a bitter divorce following the results of a nationwide referendum vote in Britain to leave the European Union. It doesn’t look as if anyone’s willing to make a second go of it. Since the vote even I’m watching and re-watching my favorite British dramas and series with a different attitude especially after the murder of Labour MP Jo Cox, who supported the EU’s position on immigration and Syrian refugees. Every narrative now comes framed in a Brixet context. Is Jane Austen only for the “English” not the “Brits”? Are her stories embedded with a nationalist agenda? 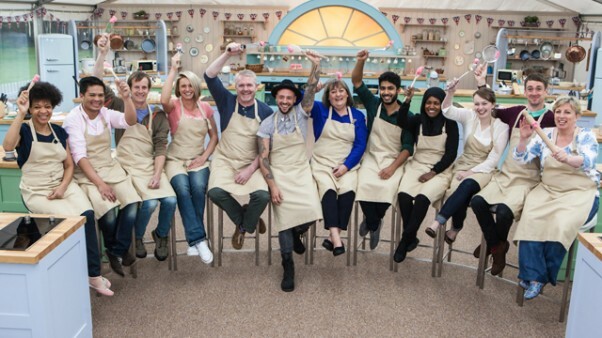 Does the vote take the the icing off the cake for ”The Great British Baking Show” and “Masterpiece/Mystery!” on PBS? Afterall, Americans weren’t privy to the original UK versions of “Downton Abbey” during its broadcast. England for the English. (UK version of “Downton Abbey” is available on DVD and Amazon Prime). Was there fear that Jane Austen’s England would be lost to Zade Smith’s Britain? The result of the vote has definitely hit a cultural nerve and altered identities especially for the generation that grew up as citizens of the continent. And the Brexit leadership demonstrated more strategic hubris without a viable exit plan from the EU for the good of “the people”. Truth is, there’s no certainty about anything on the outcome of Brexit including this post. Everything is pure speculation even by the experts and Brexits own leaders (now resigning like rats jumping ship). I imagine those who wanted to remain in the EU can not imagine a world without it. Membership has its benefits. I thought Massachusetts’ 5 College Collective (Smith, U Mass, Amherst, Mt. Holyoke, Hampshire) was awesome. Imagine having that with multiple countries. And after college explore your options across the continent paid with a single currency. Companies can hop all over the map to set up shop. The EU forged a global identity and a freedom of movement like no other time in European history. I imagine those who wanted out of the EU didn’t seek or have access to membership benefits. Freedom of movement may have been out of reach for persons who lacked the trade or language skills to pull up roots and make a go of it in another country. Imagine how the unemployed felt from the industrial sector now affected by automation and mobile technology. The only secretaries you see now are the appointed ones with a capital “S”. Then there’s the impact of Cameron’s austerity moves. Predictions are Brexit will bring about more austerity measures. When services are reduced, and Eastern Europeans and other immigrants are living in neighborhoods…I can imagine who will be blamed and the first point of attack? Heirs from the old empire may have hated having their hands tied from dipping into any and all pots at whim. And as for who really came out on top regardless of success or failure – let’s say in most novels and plays I’ve read, bankers and financiers are rarely the heroes. For me miracle of European Union is that it happened at all and there are countries who want to keep it going. Like the U.S.’s Affordable Care Act, the European Union isn’t perfect but it isn’t a bad idea either. Those who benefit are the ones who know how to access, how it works and how to work it to their advantages. There’s more work to be done with EU. And like a marriage that takes commitment and patience. For Mr. Darcy, to have the woman he loves, he must accept and on occasion manage her family baggage. Just take a look at these very British contestants making a coup on this season of the “The Great British Baking Show”. Let’s hope Brexit will not prevent these sweet cakes from rising.